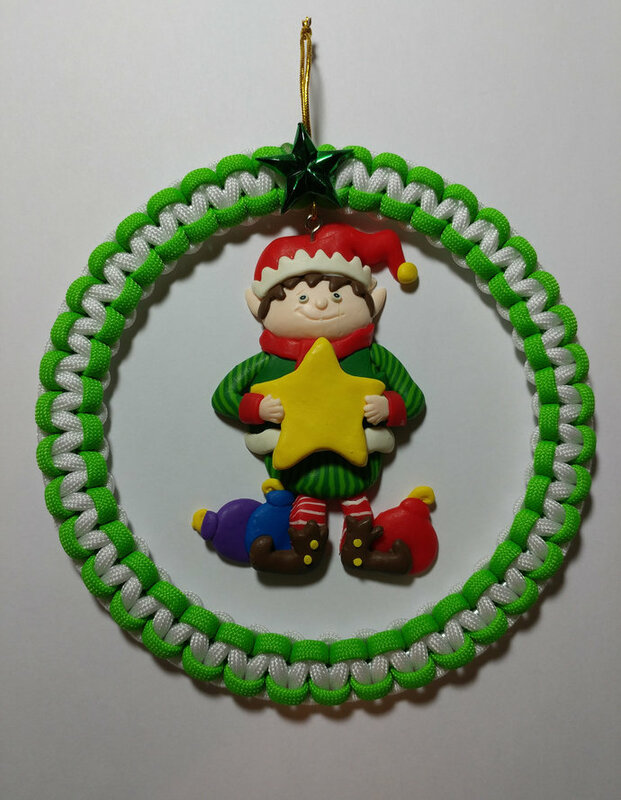 This Christmas Elf Wreath Ornament was created with neon green & white 550 paracord, plastic green star at the top, and a 5" metal ring. It has a bread dough elf ornament in the center. Finished product measures 5 1/2" wide. This will look good on a wall, in your window, or on your Christmas tree. 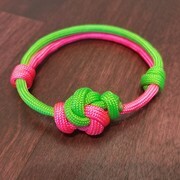 Makes a great gift as well! 4th picture shows an example of what one would look like on a Christmas tree.